Swap stories with any skier or snowboarder and you’ll eventually hit on an epic tale that includes “I totally had the wrong lenses for the light” and then escalates to a crash that would make Jerry jealous. Admit it, you’ve done it and you have multiple goggles in your gear bag. We’ve all done the parking lot gaze where you just hold it up to your face, look at the mountain and declare “that’ll do”. More recently you’ve been able to quickly swap lenses on the mountain with a spare lens in your pocket but someone at Dragon decided they can do better. They used their noggin to call in the smart folks over at Transitions lenses to take the Dragon X1 goggle to a whole new level. The Dragon X1 with the Transitions lenses aims to end the days of choosing the wrong lens for the light by automatically adjusting from a high contrast transparent color to a dark translucent black. 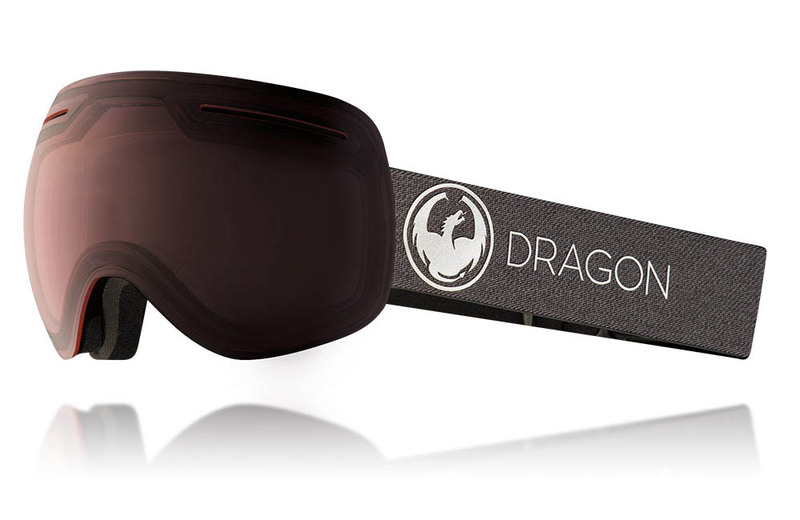 The Dragon X1 frame is designed to be a large fitting goggle with a frameless spherical lens. Triple layer foam with a hypoallergenic soft fleece lining means soft padding where the goggles meet your face. The large vents also feature armor to help prevent any debris or object from poking through the vent and keeping your eyes safe. Although the Transitions option will cover most of your light adapting needs, you might still want a mirrored lens on those super sunny days. Or maybe just for stealthy staring people watching on cloudy days. (Busted…you’re not that sneaky.) Good news is that the X1 frame has a fully swappable lens by just pulling on the lens to remove and then using the little plastic tabs to pop a new lens on. A very quick and painless process and a large offering of other lenses is available, including several mirrored options since it’s not nice to stare. Fully helmet compatible means the large frame will not interfere with the fit of your helmet and a silicone strap backing will help to keep the goggles in place as they wrap around your helmet. The X1 frame offers a big range of color options and lens choices but opting for the Transitions lens will limit your color choices to the more mellow options on the color spectrum. Still, the strap has a nice neutral color with some nice touches to give it a quality feel. Also included is a nice hard case and a microfiber goggle bag to keep your goggles from picking up scratches while not being worn. This is what you’re probably here for. Let’s cut to the chase and answer the question “does the Transitions lens actually work?” The answer is a big YES! They work shockingly well. When I first pulled The Dragon X1 Transitions out of the box, I was indoors and saw a normal looking rose colored lens. I put them on to look outside at the gloomy Michigan winter day and thought I saw it darken, but wasn’t sure. So I put them by a window and thought I saw it got a little darker. Pretty cool, but I wondered if it was dark enough. It left me a bit skeptical of the whole idea. Especially considering its some kind of dark magic with no batteries or power source. It’s just a piece of clear plastic that somehow turns dark on its own when it’s in the sunlight. Fast forward a few weeks to when I took them to a bluebird day in Vail, CO. I pulled my light rose colored lenses out of the car and expected to watch them turn into a darker shade of rose like some kind of neat party trick. But as though some kind of voodoo magic was conjured, in my hands was a completely black set of goggles! Dark black. We also had a set of yellow Transitions that I expected to maintain a bit of yellow hint, but same thing there. If you didn’t know better, you would just think that you were looking at pure black goggles. My skeptical first impression was blown out of the water as I put on my new dark shades. Riding around in the sun, the optics were perfectly clear with no distortion and just enough darkness to stop the high altitude glare. I headed back into the shadows for some tree skiing and noticed right away that they were quick to adapt to the new light. My eyes never noticed a rapid adjustment, but my riding buddy noticed that he could see through to my eyes where he couldn’t before. All I noticed was that I could see just as well in the trees as I could on the open groomers. The next day was snowy conditions with overcast clouds. While wearing I didn’t notice any adjustments happening, but from an outside persons perspective they were amazed to see that my black lenses from yesterday were now a tinted rose. My strain-free eyes just enjoyed the perfect tint all day long no matter how hard it snowed or what shadows I was in. The last test was at night and they behaved just like my favorite pair of night goggles. No tint and no time spent waiting for my eyes to adjust to a lens that was too dark. The armored vents did a great job of keeping enough ventilation to keep my face from getting that foggy/muggy feeling but limiting air flow enough that I didn’t feel the breeze on my eyes. The ventilation is designed to come out the top so I did have a little issue where the brim of my helmet blocked some airflow over the exhaust vents. But even when I could feel it building up inside, I was impressed with the ability of the lens to not fog. 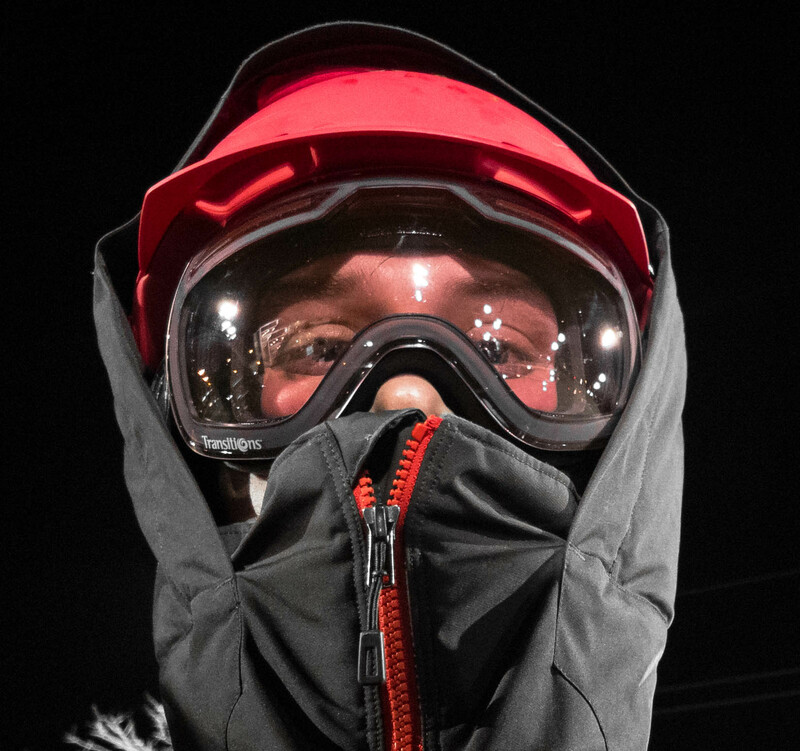 Dragon lenses feature an anti-fog coating that is 200% stronger than typical anti-fog coatings and it seemed to work. I did a little bit of back-country hiking with the goggles on and although I broke a sweat, I didn’t have any fogging in the goggles. Only once did I have a fog up and that was when I got stuck in a closed gondola on a sunny day packed with people. Quickly clearing after getting moving again, I would say that the goggles handle fogging very well. 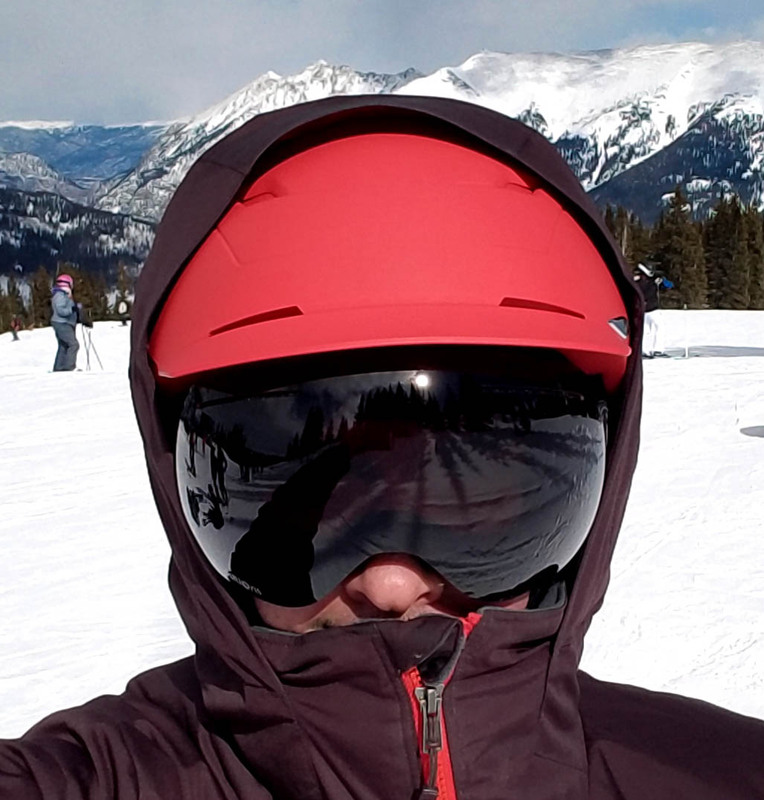 At first, the Dragon X1 goggles felt a bit stiff and tight. It did take a day or two for the foam around the eyes to relax and begin to form fit a little better. By day 3, they were feeling much better than on day 1. I do wish that the strap was about an inch longer. With the strap fully maxed out, it felt like it was just a little overly snug. It wasn’t uncomfortable, but I could tell it was snug. Perhaps as the elastic starts to relax the snugness will go away but if you feel the goggles fit a little tight straight out of the box, give it a day or two and it will probably get better. 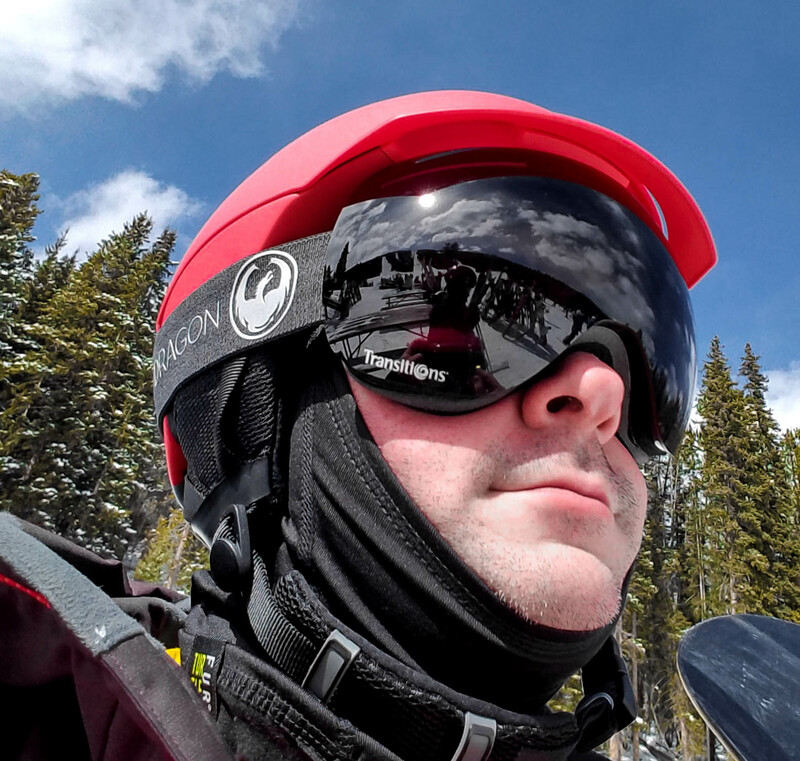 If you have a smaller face, you should check out the X1s (pronounced: Ex-One-Ess) which is the smaller framed version of the same X1 (Ex-One) goggle. Just be careful of this model name scheme if you want the full size X1. A pair of X1’s is dangerously close to a pair of X1s’ but that apostrophe location will be the difference between a pair that fits and a pair that doesn’t. At the MSRP of $270, these are about $90 more than the standard X1 goggles. However, these single goggles gave me better light coverage than having multiple standard lenses. That means that if you are considering a dark lens and a lighter lens, you should seriously consider the Transitions for the same price or even cheaper. I ride in Michigan quite a bit where a single ride session can range from overcast to sunny to well past sunset under artificial light. Typically I switch between 3 goggles during a day so $270 is much cheaper than 3 good pairs of lenses. Plus, do a little shopping around, I’ve seen the X1 Transitions on Amazon for as low as $145! At that price, why consider anything else?! Is the Transitions lens worth the extra price? Sure is. A goggle that automatically adjusts to changing light conditions seems almost too good to be true. The light range that the Dragon X1 covers is truly impressive and was more than I expected. If you like to ride anything other than groomers on a sunny day, you really should consider the Dragon X1 Transitions. Hi. I bought the dragon xs1 transitions a few weeks ago. I was so excited to wear them at mammoth mountain. The first day went great. The second day snow was upon us. At the top of the mountain I couldn’t see a thing. I literally fell off the cliff face and ski patrol had to get me off the Cliff. Ok I thought maybe the snow was to much for these goggles. Fast forward 3 weeks I went to a smaller mountain called snow valley. First run down I couldn’t see at all. I ran back to my car and got my old Oakley yellow lense and could see. I finished the day with my 8 year old Oakley’s. What’s my option for this problem? It appears to me the transition doesn’t work as intended.